I have a slight obsession with Latin food right now, particularly any recipe from the Ingrid Hoffman cookbook: Simply Delicioso. This is a colorful, vibrant, and fun cookbook with amazing recipes. I highly recommend this book. I'm always looking for new and different gefilte fish recipes. After eyeing this recipe in Kosher by Design Entertains for years, I finally got to try it last week at Shabbat dinner at a friend's house, it was fabulous. Nice change of pace. Bring a medium pot of water to a boil. Add the taco seasoning, then the gefilte fish in the paper wrapper. Make sure there is enough water to cover the fish, add water as needed. Turn down to simmer for 1.5 hrs. In a medium pan, heat the oil on medium high heat. Add the onion, and saute for 3-4 minutes until shiny. Add the carrots, garlic, and jalapeno. Saute 3 more minutes. Add the tomato sauce, sugar, and water. Bring to a boil, remove from heat and set aside. When fish is done, remove it from the pot and discard the water. When cool enough to handle, remove the paper, and discard. Slice the fish and place in a baking dish. Pour the sauce over the fish, cover and put into the oven. Bake for 1.5 hours. 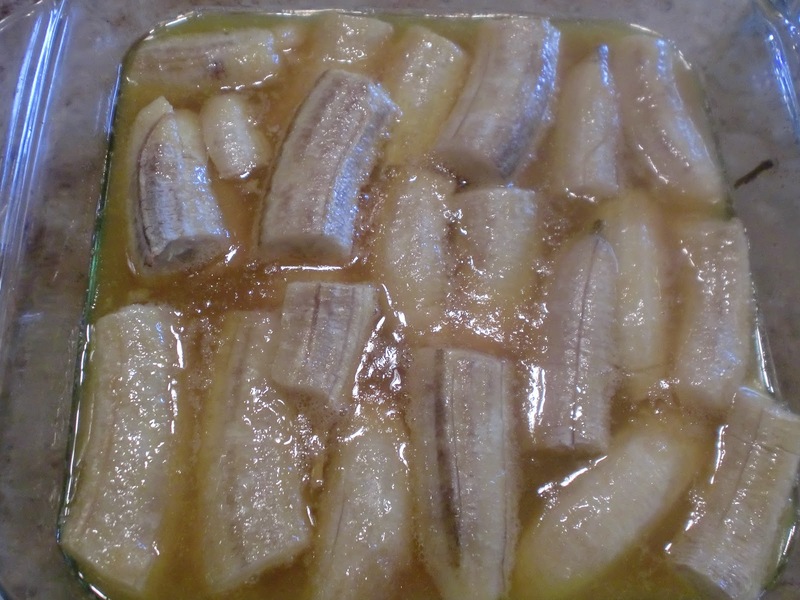 Remove from the oven, and allow to cool in the refrigerator. Best if served very chilled, can be made day ahead. This beet salad is nice and refreshing. King Hock loves it! Wrap the beets in foil packets (3 to 4 baby beets together, large beets separately) and place on a baking sheet. Roast beets about 20 minutes if you are using baby beets, 40 minutes if they are large or until the skin slips off of them. Place the oranges in a large bowl with the onion, olives, and mint. Slip the beets out of their skin and cut them into 1/4 inch thick slices. 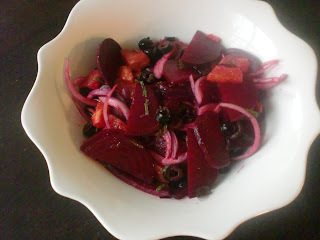 Add them to the bowl with the oranges and season with salt and pepper then drizzle with some olive oil and the lime juice. *To peel and segment the oranges: Cut the tops and bottoms of the oranges so that they sit on the countertop. Using a sharp knife, slice the skin from top to bottom make sure you remove the peel and the pith so that no white is left on the orange. Then slice along each membrane to cut out the individual orange segment. Great grilled chicken, I like to marinate mine at least 4-6 hours for extra flavor. This is the same cookie recipe I made yesterday, but it makes 2 8 inch round cookie cakes. Again, you will not be able to taste the pumpkin. It is incredible! Cream together the margarine and 1 1/2 c. sugar, until well combined. Add the pumpkin and flax egg, and mix. Add the flour, salt, cream of tartar, and baking soda. Mix until combined and dough has formed. 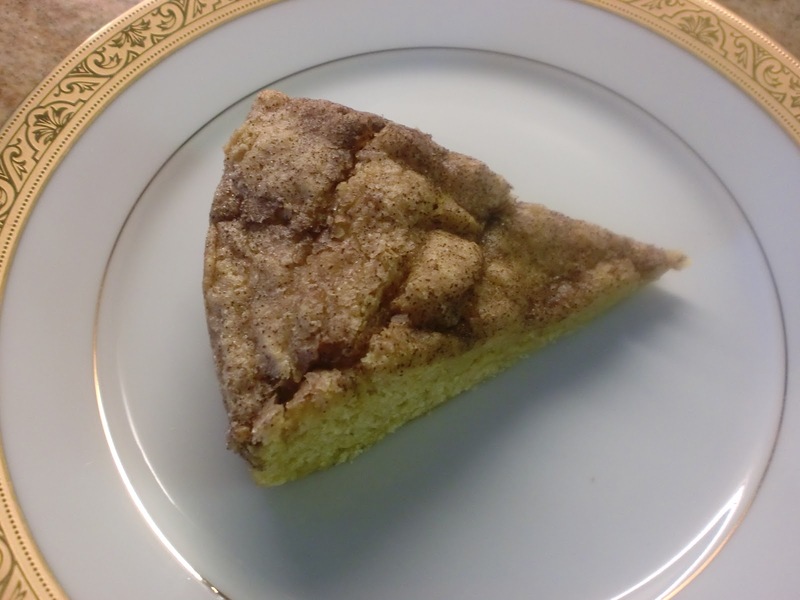 Mix together 1/2 c. sugar, and cinnamon in a smal bowl. Preheat the oven to 350. Heavily spray 2 8 inch round cake pans with non stick spray. Place the cookie dough inside the pan and using your hands pat the dough to fill, sprinkle the top with the cinnamon sugar mixture. Bake for 25-30 minutes, until a knife inserted into the center comes out clean. Oh my gosh these are amazing! They remind me of one of my favorite desserts in the world, the bananas flambeado at Edith's in Cabo San Lucas. Preheat oven to 425. Grease a 9x13 baking dish with 1 T. of margarine or butter, set aside. In a small saucepan, place the sugar with the water. Place over medium heat. Cook the sugar swirling it as it melts, until it a dark amber color, about 5 minutes. Carefully add the orange juice, it will splatter so be careful not to burn yourself. Reduce heat to low, and add the remaining butter or margarine, and the rum, swirl to incorporate. 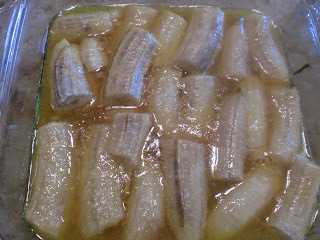 Pour the caramel over the bananas, and bake 15 minutes . Serve hot over cake, and or with vanilla ice cream.